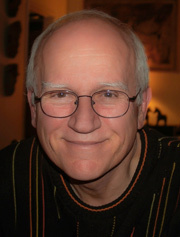 Paul Seydor came to film editing after being a professor of literature at USC, where he completed Peckinpah: The Western Films (1980), widely regarded as the best critical study of this director’s work. After writing Peckinpah, he soon became a film editor, working on films like White Men Can’t Jump, Tin Cup, and the highly acclaimed The Day Reagan Was Shot. Written and directed by Cyrus Nowrasteh, Reagan earned Seydor an American Cinema Editors’ “Eddie” for Best Edited Feature for Non Commercial Television. Seydor wrote, directed, and edited The Wild Bunch: An Album in Montage, which was nominated for an Academy Award for best achievement in a documentary short subject and an American Cinema Editors award. In 2005 he prepared a special edition of Peckinpah’s classic Pat Garrett and Billy the Kid, which led to his third book, The Authentic Death and Contentious Afterlife of Pat Garrett and Billy the Kid: The Untold Story of Peckinpah’s Last Western (2014). Since 2007 he has taught at Chapman University’s Dodge College of Film and Media Arts. Seydor holds B.A. degrees in literature and journalism from Pennsylvania State University, an M.A. in journalism and American studies from Penn State, and a Ph.D. in American civilization from the University of Iowa.